Here is a summery linen cotton blend fabric large zipper pouch. 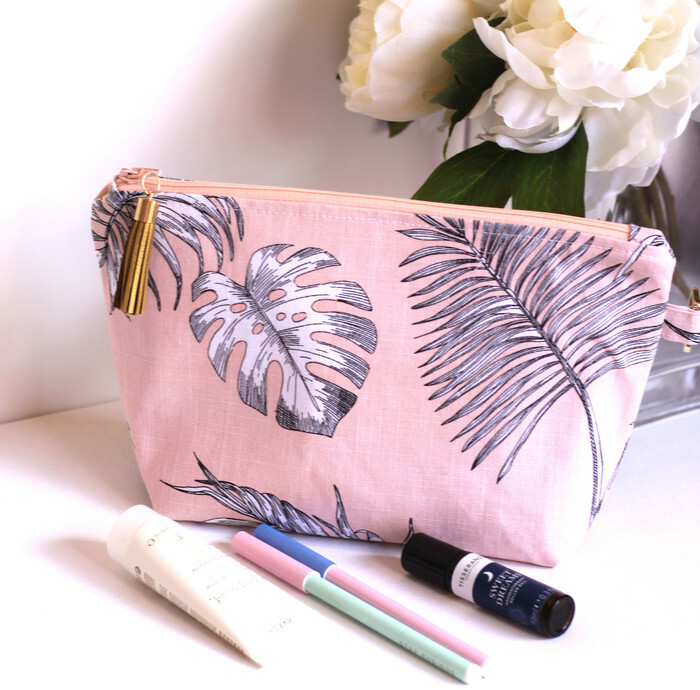 It is a roomy, light weight bag for make up, travel organiser or clutch bag. 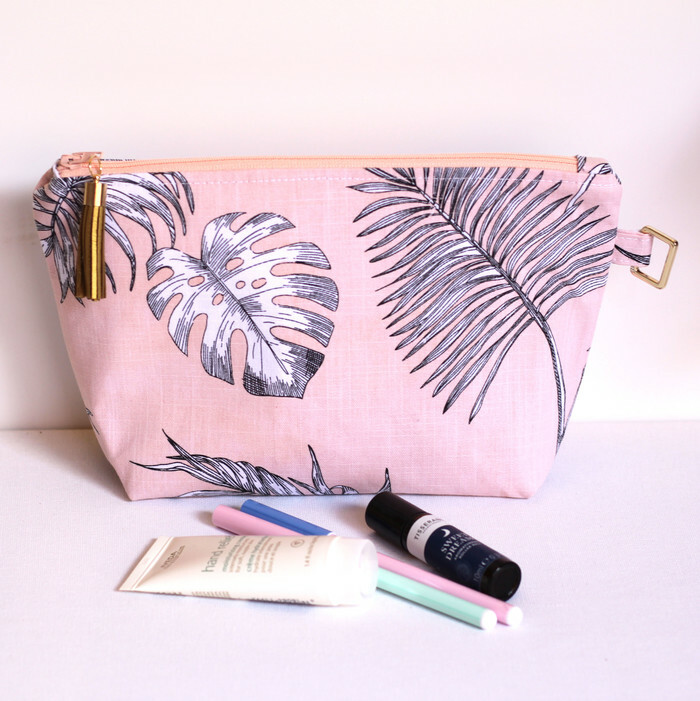 Keep your toiletries and make up together when travelling or use it to separate tech gadgets and their cords and rechargers. The colours are peach, white and black with ferns scattered. 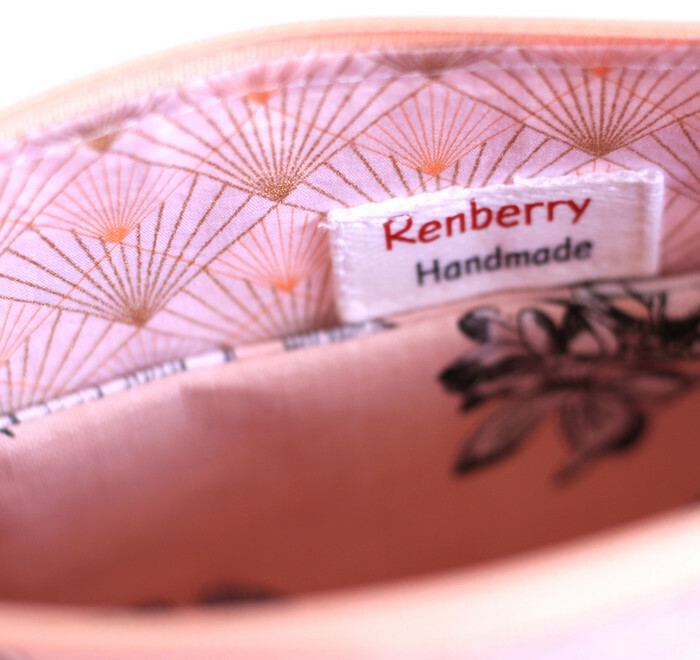 The internal lining fabric is pink and gold geometric patterned cotton fabric. Details include a gold tassel and d-ring. There is an inside pocket to separate small items. Main body- Top- 26cm, base 18cm x 6cm, length 16cm. Fabric is washed and dried for pre-construction shrinkage. It is not recommended to use a washing machine.